Using cloud management software from IBM’s Tivoli division and a Juniper network, the companies demonstrated a drag-and-drop interface for managing a hybrid cloud infrastructure. It was the first time IBM had shown off technology for shifting work within a hybrid setup, which the company believes will be the dominant form of cloud architecture. IBM was set to announce the capability on Tuesday, along with several other new cloud-related offerings. At its Silicon Valley Research Center in San Jose, California, on Monday an IBM executive demonstrated how the IBM Cloud Management Console, which already could be used to control a private cloud, can now control a remote cloud as well. The console displayed virtual machines as small boxes color-coded to show whether they were being used and what for. Identifying one application as less critical than another, he dragged several boxes from the private cloud to a public one. Then, with computing resources freed up on the private cloud, he allocated the empty boxes to the more critical function in order to meet the IT department’s service-level agreement for it. IBM will be unveiling that capability and others to selected customers alongside partner Juniper Networks on Tuesday. The company has tapped in to Juniper APIs (application programming interfaces) for networks that better serve the needs of hybrid cloud computing, executives of the companies said. Among other things, Juniper technology will help to allow easier remote management of clouds over long-distance MPLS (Multiprotocol Label Switching) networks. Enterprises won’t need a single-vendor Juniper network to take advantage of the partners’ technology, however, because Juniper uses standards such as MPLS, they said. Monday’s demonstration did not include moving data between public and private clouds, but that could be a future direction, Subrahmonia said. – The Service Management Center for Cloud Computing, a set of products that IBM’s clients can use to build and deliver cloud services. At its center are Tivoli Provisioning Manager 7.1 and Tivoli Service Automation Manager, designed to automate cloud deployment and management. The Service Management Center will include at least nine different products this year. – IBM Rational AppScan 7.8, which helps enterprises ensure that the Web services they publish into a cloud are secure and comply with regulations and company policies. Rational AppScan OnDemand allows continuous monitoring of those services. – IBM Design and Implementation for Cloud Test Environments, which lets customers build a cloud inside their own environments for testing. 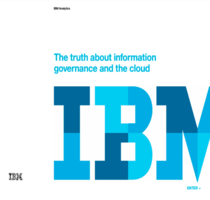 It can save as much as 20 percent through quicker provisioning, IBM said. – Tivoli Storage as a Service, providing Tivoli data protection technologies on an online, pay-as-you-go basis. It will be offered through IBM’s Business Continuity & Resiliency Services cloud beginning later this year. Like IBM, Antonopoulos of Nemertes Research believes almost all enterprises that use cloud computing will take a hybrid approach. IT infrastructure is like an investment portfolio, which shouldn’t be dominated by one type of asset and has to be tailored to each organization’s needs, he said. In addition, enterprises need to consider not just the ongoing cost of going to a third-party cloud service, such as subscriptions and bandwidth, but the cost of migrating to the service and later moving on to another approach, he said. “Anything you do in IT is temporary,” Antonopoulos said.